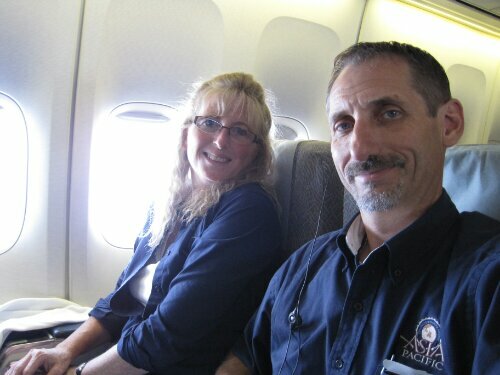 Arrival to the Philippines | Todd & Connie Lou…from Papua New Guinea…to you! It was very difficult at the airport. We are so blessed to have such a close family, but this made it difficullt to say goodbye. 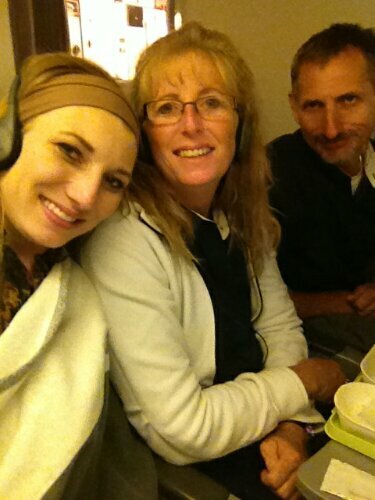 We were somewhat emotionally exhausted when we finally sat down on the flight to Seattle. We arrived in Seattle, made our way towards our gate, and at 10:30pm, realized it had been a significant amount of time since we had eaten anything. We found a Qdoba’s that was still serving and had a nice dinner. We were concerned that Courtney be up-to-speed on navigating these airports, so we asked her to sort things out all the way across. We had to make our way to an international terminal at Seattle, which involved an underground tram, and after a few hesitations, she jumped right in and started remembering how this all works. When we arrived in Taipei, things worked a bit differently from U.S. Transfers. You must find out where your next terminal / gate is, and then work yourself through another security checkpoint, even though you are staying on the same airline. Once again we had CJ lead the way. When we finally reached our gate for the continuation of the flight to Manila, CJ commented that she felt much more comfortable now that she knew her way around the Taipei airport. We feel much better as well…sending her back on the 9th of August. She will do just fine. Ramp at Taipei International Airport. Our plane being loaded for the flight to Manila. 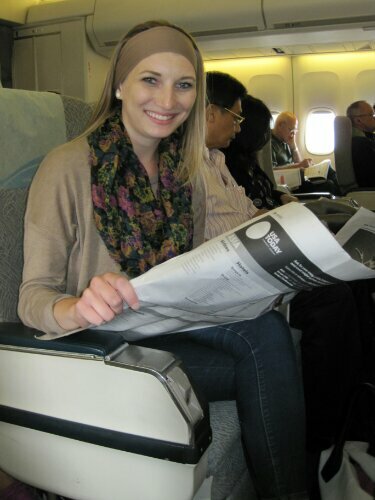 Courtney – living it up in Business Class. My little girl has truly grown up. She catches attention when she travels. I need to enlist security guards!!!! Courtney wasn’t the only one enjoying the unanticipated Business Class upgrade. The all too familiar weather of rainy season in the Pacific. How we remember this from 20 years ago. Courtney is coming home. The last time she was here she was just 2 days short of being 2 years old. As we had a little over 4 hours to wait in the terminal at Taipei, we decided to get some lunch. It was truly Asian, with many foods, flavors and presentations that we were not familiar with. All very natural in preparation, and I’m sure much healthier than the average American Airport food. The servers where very interested in watching our every move. I believe that they were surprised that we negotiated the chop sticks as well as we did. I think they were ready to jump in and rescue us with regular utensils, but this is an art we all acquired while in Africa, eating at our favorite Asian restaurants, so we apparently passed the test. Towards the end, one kind waiter came over and asked Courtney if she needed a fork or spoon. She politely accepted, and did find that it was a nice help with one of the delicacies on her plate. Cellphone: We found, much to our surprise, that when we turned on our phones in Taipei, we immediately received automated text messages welcoming us to the country and advising us of the charges if we chose to use our phones. $1.99 per minutes, .50 per outgoing text, .05 per incoming text. Funny, Larry Marler had sent me a text asking if I wanted to help on the upcoming Mexico container – the only one I received in Taiwan…way to go Larry! We immediately turned our phones to “airplane mode,” so that we didn’t incur large unintentional roaming and data charges. 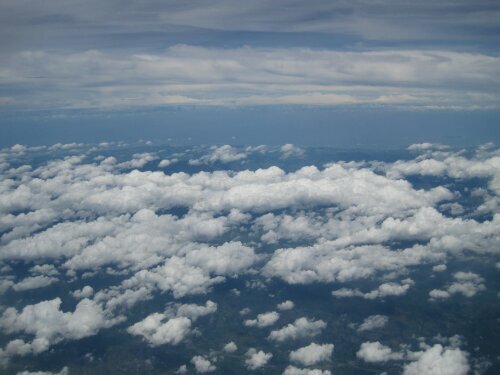 Flight from Taipei to Manila…upgraded to Business Class: This definitely doesn’t happen very often. In fact in all of our years of travel, this is only the third time that I can remember. When we boarded the Boeing 747, it became immediately apparent that our row was in the front of the plane and yep…we had wide seats, reclining with foot rests, lots of room. We all enjoyed this unexpected comfort. 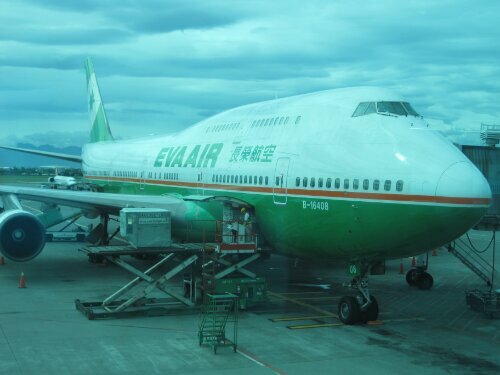 Eva airlines isn’t quite as up-scale as Asiana, but they are still a very nice airline to fly. Anticipated Arrival to Manila: We have been communicating with the Manila team regarding our arrival and the amount of baggage that we are carrying. They have responded and indicated that two vehicles will be waiting for us at the airport and that our team will be waiting to meet us at the Seminary when we arrive there to our apartment. It is always an adventure as to what lies ahead. We were told that the PI team received information that another house was becoming available in the “Admiral” area, which is only about 1/2 mile from my office. Thankful all has gone well and you are finally there. With all this great communication–“there” doesn’t feel as far away as it really is. Sp unlike your years in Yap. How about always posting the date you are writing so I can track it better. Not sure the date you arrived in Manila–the 17th or 18th? So I did update the timezone to reflect where we are now, and I am adding the date and times. Appreciate the feedback. Thank you for the encouraging words! Surely do appreciate the prayers. Wonderful to be able to follow you. Communication is just wonderful this way! We do pray for you! Thank you so very much! We appreciate your encouragement and prayers.